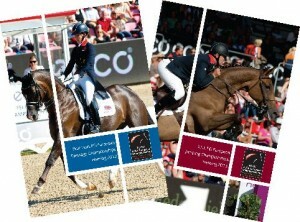 We are distributing review DVDs from this year’s Dressage and Jumping World Cup Finals. Relive the excitement and amazing performances go to SHOP to order. Relive all 3 of Charlotte and Valegro’s amazing tests from the Alltech FEI World Equestrian Games in Normandy 2014 on DVD – go to SHOP to order your copy. OUT NOW –The Official Badminton Horse Trials 2014 DVD. With our special offer, all our Little Books are priced at just £9.99 each. Or you can take advantage of our amazing DOUBLE-BUY offer, 2 Little Books for £16.99, or TRIPLE-BUY offer, 3 Little Books for £24.99. Visit our shop to see the full range. 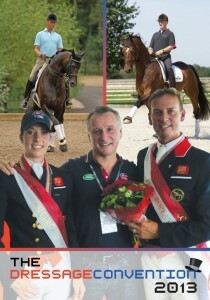 The FEI European Dressage Championships and FEI European Jumping Championships review DVDs are now in! Relive the magnificent British successes at these two exciting events – Visit our shop now to place your order. 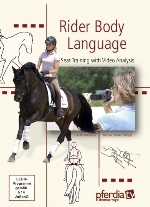 The EXCITING Dressage Convention for 2013 is available on a double DVD. This two-day event, which took place on October 19th and 20th 2013 at Bury Farm in Buckinghamshire, lived up to its promise – it was both educational and thought-provoking and brought together a number of well-respected trainers and riders to explore and compare International training methods. Dressage superstars Carl Hester and Richard Davison brought dressage enthusiasts a unique insight into a variety of training methods through a series of practical sessions, lecture demos, panel discussions and questions and answers. 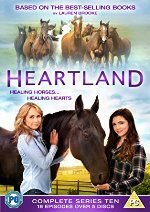 This unique event was an inspiration to dressage enthusiasts of all levels. 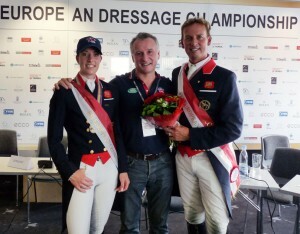 The main hosts of The Dressage Convention 2013 are British Olympic Team Gold medalist Carl Hester and 4 time Olympian and British Team Manager Richard Davison. The unique combination of Valegro, the double olympic gold medal horse, current European Champion, current World record holder and current World number one rider, Charlotte Dujardin, demonstrated the methods Carl & Richard discussed. Guests speakers included renowned author of ‘The Classical Seat’ Sylvia Loch and former Portuguese Equestrian Art School student Miguel Ralão. 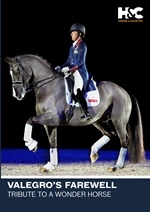 The Dressage Convention for 2013 is available on double DVD for £39.99. 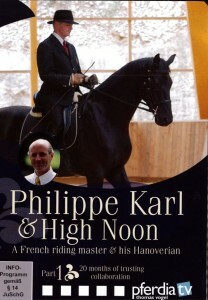 Philippe Karl & High Noon – A french riding master & his Hanovarian.